Ramsell & Associates were extremely professional, reliable and affordable. I've hired other lawyers in the past and the lawyers at Ramsell & Associates were BY FAR the BEST I've ever dealt with. Best of all, it didn't break my bank to hire them. 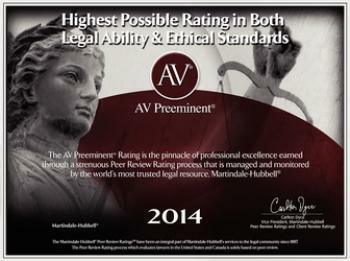 Very satisfied with the entire experience and I would highly recommend this firm to anyone. When I called the Dupage County Bar asking for the absolute best DUI attorney, their answer was immediate- Don Ramsell. Mr. Ramsell took on a case that I thought we had no chance of winning and continued the fight until the judge ruled in our favor. He has amazing talent in the court room and never gave up on this case. I went to 2 other attorneys with my issue and got advice how to handle my case. I then spoke to Don who gave me totally different advice. Bottom line is I am glad I took Don's advice and not the other attorneys or I would still be in litigation. Thanks Don! My daughter's DUI, had me so scared. The DON was just amazing in court. He knows the law and is the best!!!! Mr. Ramsell made me feel assured that we would get the best outcome possible. Ramsell and his office team are the cutting edge of DUI law. I was referred to Donald Ramsell by a Police Officer (name witheld.) Be honest about the details regarding your case as he can see through a lie no matter how convincing. This was especially helpful with my case given the arresting officer's testimony. Ramsell will likely be honest with you and does not make promises. Do what he says and you should come out more favourably than if you had selected the services of any other. Ramsell & Associates Top Notch!!! Took 2 years but the results where 100% worth it! Look No Further - Ramsell is who you need. I've unfortunately dealt with a few top criminal defense attorneys in my lifetime. Don Ramsell is by far the best at knowing the law(s) inside and out and doing actual defense work. He does not have a plea bargain mentality and he proved to be a highly trusted person. At the end of the day you will know that you had the best possible outcome of your case, because there is no better defense attorney then Donald Ramsell. Before i got a dui myself I might have said that people that get a dui deserve what they get. My opinion has completely changed! I now feel that our system for dealing with dui's is way out of control. I am so glad that I decided to call Donald Ramsell to represent me. Without such a knowledgeable and talented person who was there in my behalf, I feel the outcome would have been very different. Thank You Donald Ramsell !! My matter was handled very well. Was a little nervous about the DUI and my licence being suspended. I read reviews about this law firm and heard very good things and sure enough Ramsell and Associates were beyond "very good" they were excellent. I'm happy to say my licence is safe now. I was recently arrested for DUI and found myself in a serious situation. I was in serious danger of losing my license and possibly going to jail. Then I contacted Ramsell and Associates. Don and his team of attorneys not only kept me out of jail, they helped me to retain my license. Thanks Don! Don Ramsell and his team greatly helped me in my DUI case from the begining till the end. All of them reviewed and studied my case and did an oustanding job! I stongly recommend Don and his team. I appreciate thier courage and determination. GOD BLESS THEM ALL. 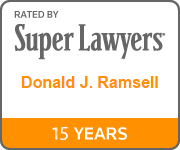 I am submitting a second review for Mr. Ramsell (I am the first reviewer) because my first one did not adequately convey the appreciation and gratitude this man and his entire firm rightfully deserve. Before I met Don, my life was completely horrible. My drivers license was revoked for 10 years, shattering any career or educational ambitions I had for the future. Not only did this take a considerable toll on me, it all but ruined my family and my parents. We had no hope whatsoever. What did Mr. Ramsell do for me? He found prosecutorial errors in my old DUI's with my previous attorney which allowed the cases to be reopened. He took one of the cases to trial and got me a NOT GUILTY. He got another one of the cases DROPPED, and finally the last case reduced to reckless driving. I never imagined something like this would ever happen in my situation. Its a miracle. I now have a FULL, UNRESTRICTED drivers license with NO BAIID in my car. I have the freedom again to live my life without having to embarrassingly beg for rides or look at train schedules. Not only has Mr. Ramsell saved my life, he has saved my entire families life. If you are looking for a DUI attorney to hire, chances are you are like me and have made some foolish decisions or were in unfortunate situations in the past. Please, start fresh and do something intelligent- Hire Don Ramsell. If he can't help you, no one can. Don Ramsell is not only a colorful character, but as good as it gets in the DUI arena. He helped me through some of the toughest ordeals of my life. Watch out for him on a bad day, but on his good days (which are most of the time), there is none better. He is continuosly helping me clean up the messes I created in the past. I have been sober for over 9 months and am looking ahead in my life, but still have an ugly past to overcome. Don has helped me tremendoudly as I try to put my past in the past. He was recommended to me about 8 years ago by a friend who raved about him and Don has not dissapointed. The more you work with him, the more you come to realize how knowledgable he is and that he is the BEST in the business. Great attorney, honest and knows what he is doing. I would recommend to anyone. Don is about winning your case not about taking your money. “It’s Ramsell time.” I uttered aloud in the police station after being arrested by an overzealous sadist cop with a vendetta of God only knows what. Darn those cuffs were tight and wow did he want that bust! Due to the multiple incriminating charges associated with this DUI arrest, things weren’t lookn’ pretty. Then about a year later while this case was still pending, I managed to run out of gas one night and played a bad game of Frogger with a bully of a copâ€¦ Hence ending in another DUI . Anyway Don worked his magic and miraculously got both of these awful charges dismissed. So as living proof of this man’s legal expertiseâ€¦If you get popped with a bad booze ticket(s), Don is your boy! I had alchohol related charges that if I was convicted I would have been sent to jail for over a year. My case was next to impossible to defend. Then I hired Don Ramsell. After three years of Don's hard work through hundreds of well researched motions, tantalizing arguments, unique angles and gutsy/pointed remarks to the State and Judges, MY CASE WAS DISMISSED! If you are already sunk, regardless of the circumstances, Don will help you.